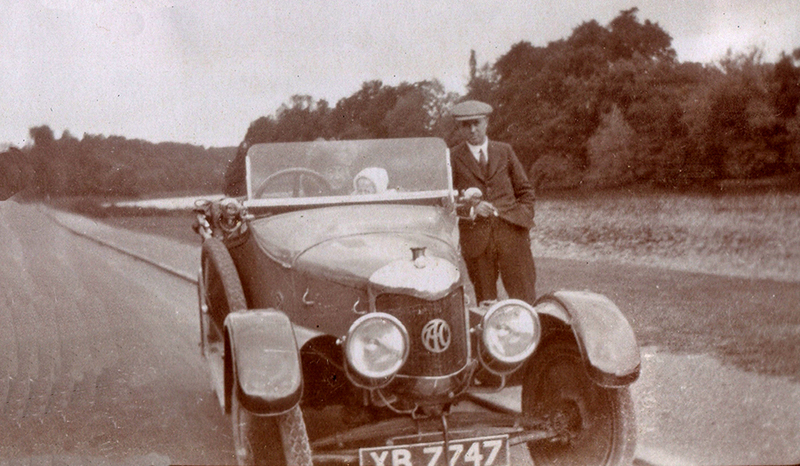 Walter Harris had acquired a new AC Tourer motor car in late 1922 and drove the family out to visit their cousin Prynea at the Horse Shoe Inn Llangattock. The photo below shows Wally standing next to his car which is parked beside the River Usk just outside Llangattock. Just visable in the car is Wally's mother Alice Harris and baby Peggy Musgrove. We assume the photo was taken by either Peggy's mother or father Ivy and Herbert Musgrove who would have been on this trip. The reason for the trip was to visit Ivy and Wally's cousin Prynea. Pryea's father was William Hollings Rumsey who is cousin of Alice Harris. 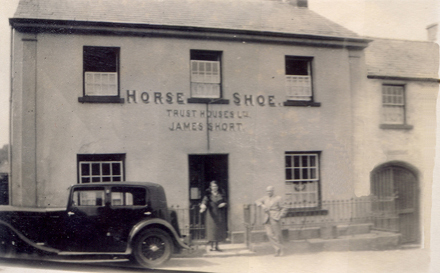 We believe the picture of the Horse Shoe Inn shows Prynea and Her husband James short who was now landlord of the pub, having taken over from Prynea's father William Hollings Rumsey. 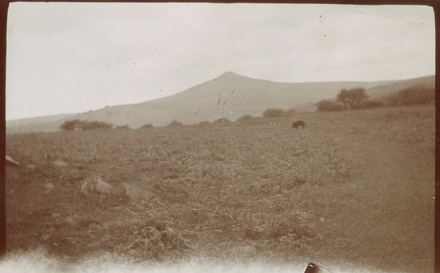 Also pictured is the Sugar Loaf outside Crickhowell.